This SkunK hasn't been around the forums in a very long time. Since late last summer and its been hit and miss b4 that since I've had all the new additions to the Fam-Damly! My old thread was fun while it lasted, but in the end became a jumble of plants and hard to navigate. 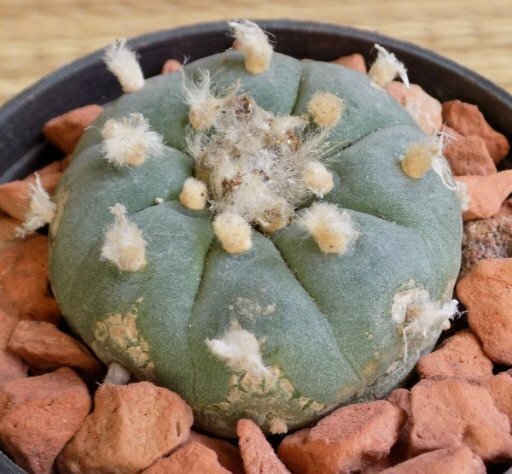 I'll keep this thread short and simple and only post my Cacti & Other Succulants with related info and project's accordingly. Should be lots to share... 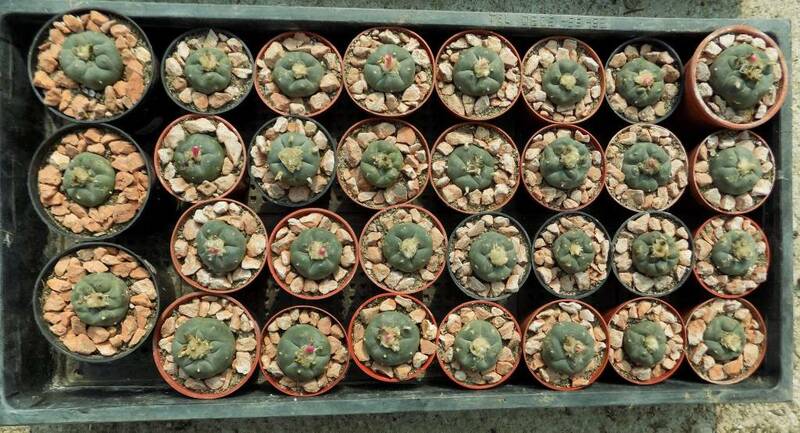 I have some 40+ Cacti actively growing at the moment. And another couple hundred at various stages of growth that are dormant. 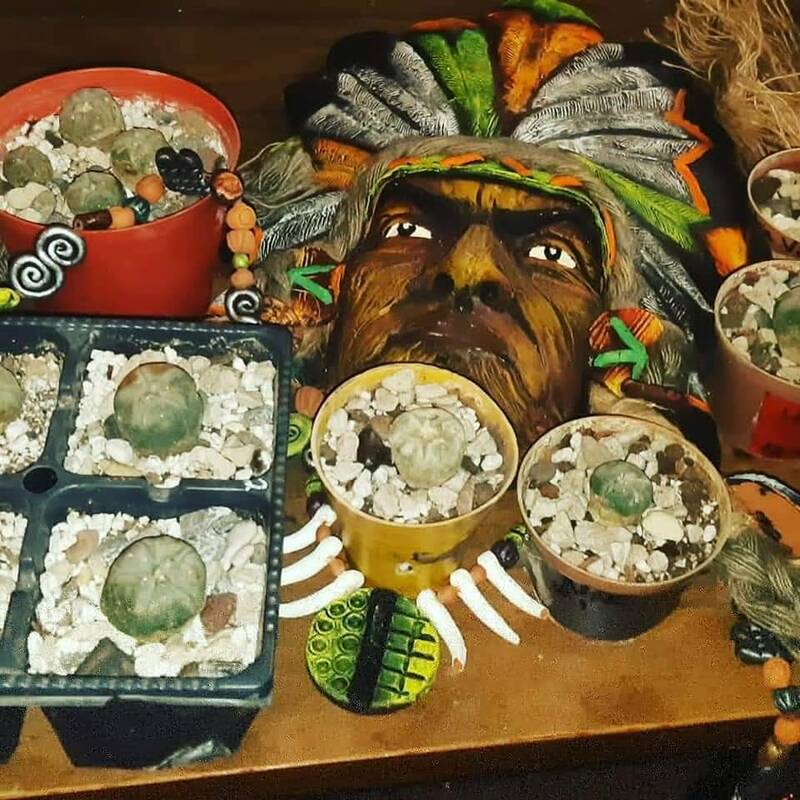 But as spring is fast approaching, I have a feeling it is going to be an exciting year cacti wise..
My indoor dual purpose grow. 4 Cannabis plants and what ever cacti I can stuff in on the back shelf. Plus a mimosa & Acacia and 1 Iboga seedling. Edited by skunk, 08 March 2019 - 07:22 PM. 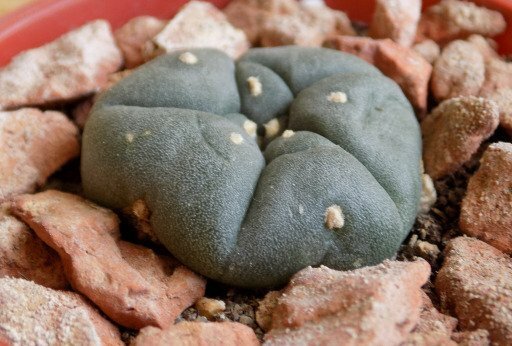 While I don't condone wild harvested Lophophora Williamsii I wasn't going to turn them down either. This was thw 1st batch of my buddys order and anothee 60 more cut heads are expected to arrive mid April. I was gifted 14 of these 21 heads as a gift for helping a friend. 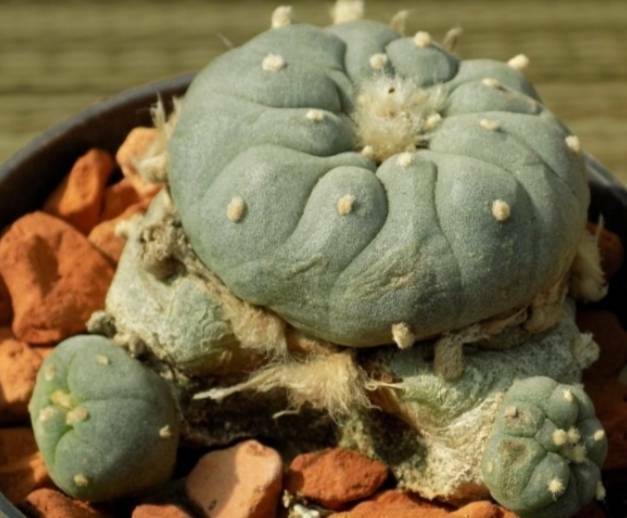 Seeing as im adequately supplied on meacaline and many active Trichocereus ssp. 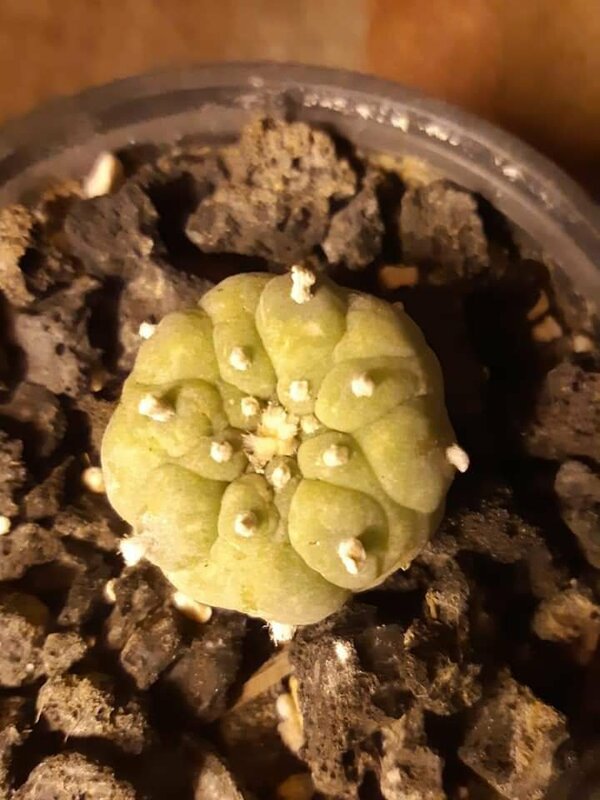 At my disposal I decided I would like to expand my Lophophora Williamsii collection so I immediately begun preparing these heads which were well calloused over for rooting. I used a new rooting powder 'Promix' to lightly dust the under carrage of the buttons and placed them on top of a mineral heavy medium and tossed them under A bank of T5s in my Vegging closet. Within a week i was noticing little root nubs on 99% of my heads. So a light misting cycle began for 1 week. About 2 weeks later they were firmly rooted in the medium. Then they receiced their first feed from rye bottom of the pot to encourage the roots to search out the source. They are currantly banged up under a 1000 watt HPS im my flowering closet and are doing excellent. I plan to root rhe next shipment of 60 heads mid April. Makes an old man drool! Loving your Cacti and the library updates you made earlier today! As a kid growing up in SW KS we used to get gunny sacks of buttons from OK back in the day. Memories of daze long past. Edited by roc, 08 March 2019 - 08:25 PM. This past grow season, I finally reached a place im cultivating these magical cacti to begin using these things I've been growing. Now I'm a complete noob to cactus consumption. Honestly when I started growing from seed late 2015 I thought this day would never come.. I have still yet to try a full spectrum brew, and to date have only samlped some Mescaline HCL Ive extracted from one of my Extracts. So even 3.5 years into growing these things I still have so much to learn and experience. How was I to choose which ones to prepare and which ones not to bother with... . .. I didn't wanna prepare a 12+ inch cut and consume it only to be faced with nausea and some bunk cacti. I played this around for many months. 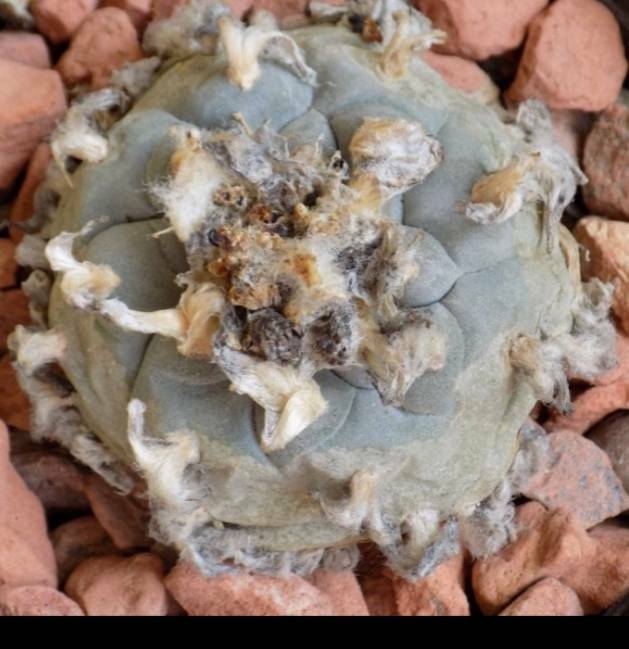 Seeing as how I litterly have hundreds of Cacti the only real tangible route was fo learn how to extract there is no way I would be able to physically sample from each cactus.. This was my 1st attempt at extracting Mescaline HCL using Kash's A/B tek with a MEK clean up. Reason for choosing this route, it was simple and I had all the needed Chems already at the house for other purposes, and his tek was super simple to follow. 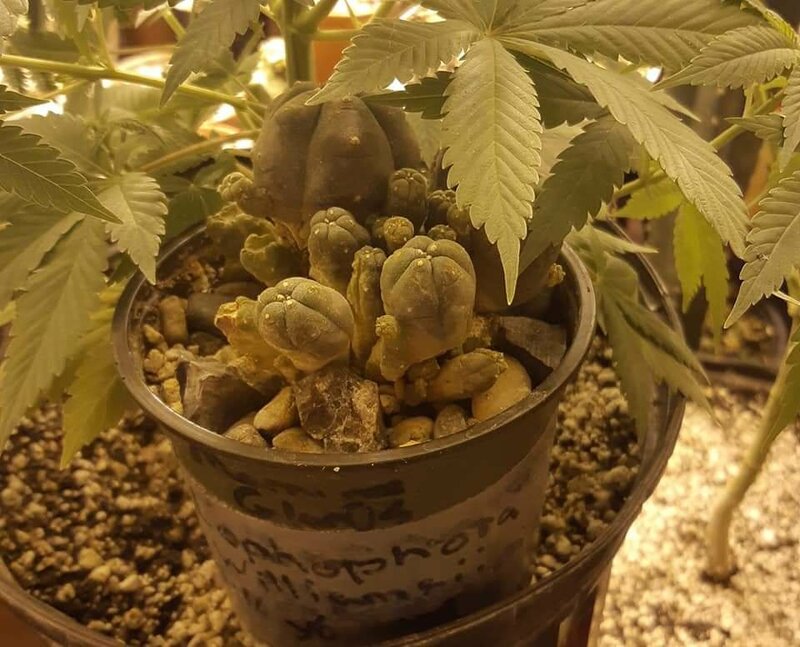 -Cacti was a Trichocereus SS02 Bridgesii x Trichocereus Juul’s Giant (1.01 Specimen) that was seed grown organically in soil. 3.5Years old from seed. Then added my water and HCL to crash the salts out into the water solution. This part needs to be followed closely to the tek and test the acidfied water PH to know your in the sweet spot. Then just evap off your water and your left with your unfinished HCL. Recovered 0.9 Grams of Mescaline HCL approximately 2.1% Alkaloids in this cacti I've still yet to clean these crystals so total % Will decrease. Dam, I wish. Mescaline has always been that elusive substance I could never aquire. That and DMT. Both I've had to find ways to aquire or produce myself. 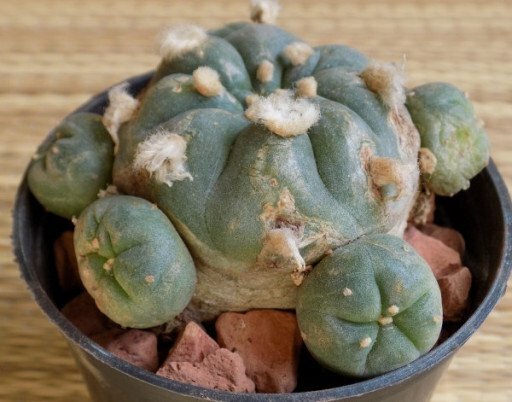 Which for Mescaline means I had grow 99% of my cacti from seed. 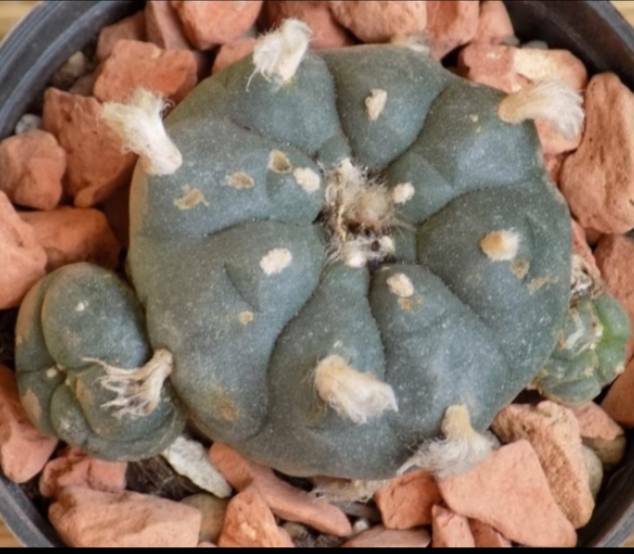 My Lophophora Williamsii are mainly for collecting. I have a great source of Trichocereus which produce at ludacris rates. 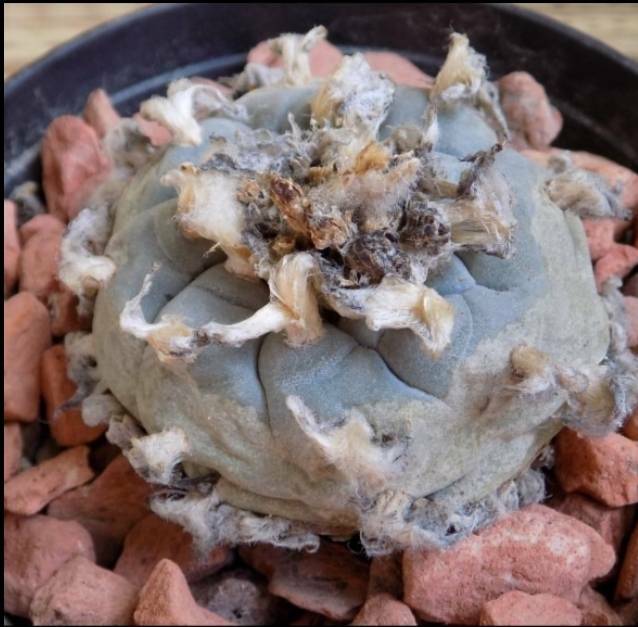 One day when my Lophophora Williamsii collection can sustain the odd ceremony will I ever indulge and practice safe harvesting methods. Have alot more material i'll drop in the library thread. I absolutely love it mang! Makes my night watching all these beautiful things wake up. And only another 1.5 months of winter left and they can all be moved out onto the patio where I can fully enjoy their presence all spring and summer. That's exactly how i see it. 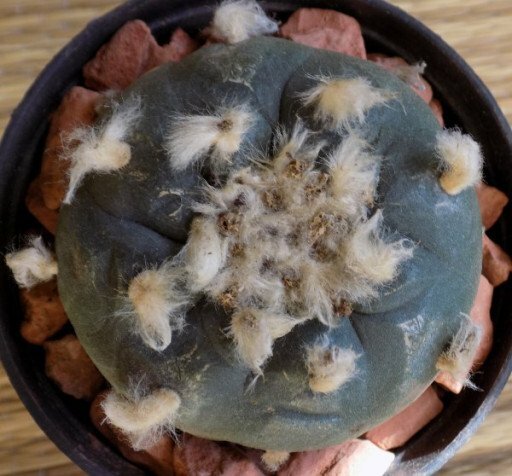 Some people more experienced have said my method ia flawed as there are indeed many other active alkaloids present in cacti. But where I stand there is no possible way I could ever sample my complete collection. I'll plug away with my method of surfing through my cacti using Kash's A/B and once they regrow. I'll pick my top meacaline Producers and use them to male a full spectrum brew. I'd definitely be interested in hearing from others how they weed theough seed grown plants to find these potent gems. Edited by skunk, 08 March 2019 - 11:04 PM. For my 1st handful of L.Willys back on 2015 when I became a member here. While at the time my plan with ordering these was to consume to. 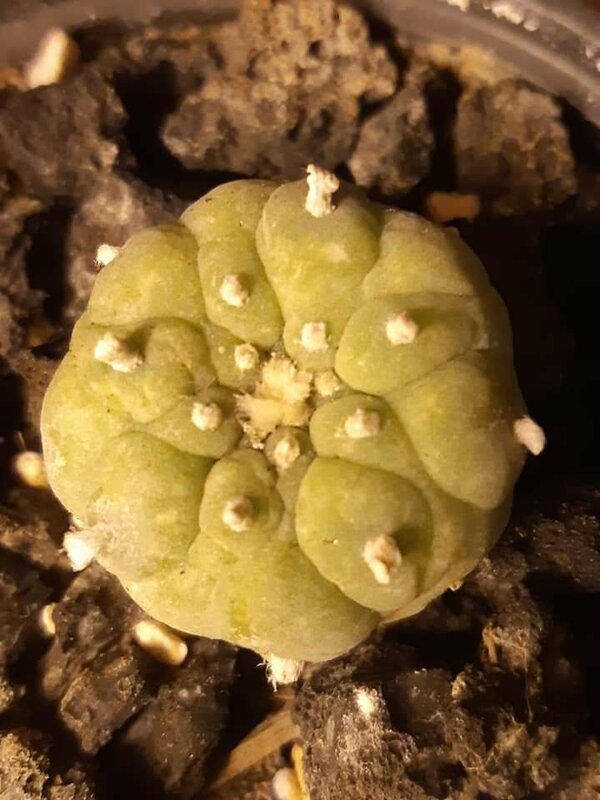 Oh boy did I have a lot to learn about Cacti... needles to say I've gifted 2 away and I'm left with 4 of my original 7 Lophophora Williamsii's which were approximately 4 years old. Anyway been waiting for flowers and was finally blessed with one early this winter under lights. These are the others from. My original accusation of these magical plants. Still waiting on these to flower, so have no positive IDs. -This one has begin shooting out pups all over the place. Growth looks abnormal of sorts. Sadly in the early 70's they started coming down on the reservation grows and even arrested a couple of Native Americans. The other problem was the destruction of natural habitat and idiot harvesting without respect and most of southern OK lost the beds of peyote. The last time I saw dried buttons in quantity was '71. 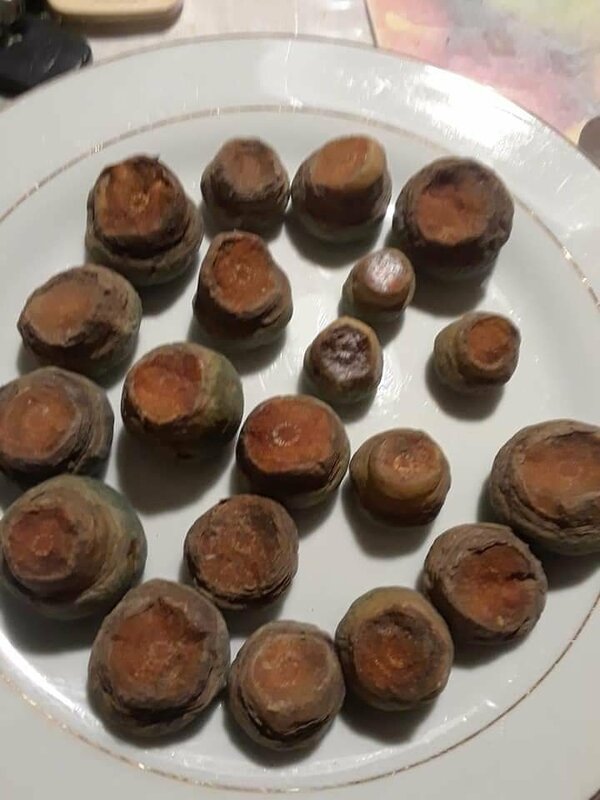 I'm able to souece dried buttons from certain vendors up here in Canada. As owning, growing and even dries buttons are legal. So long as they aren't used for extractions or consumption. Consumption is only legal for NAC Members. 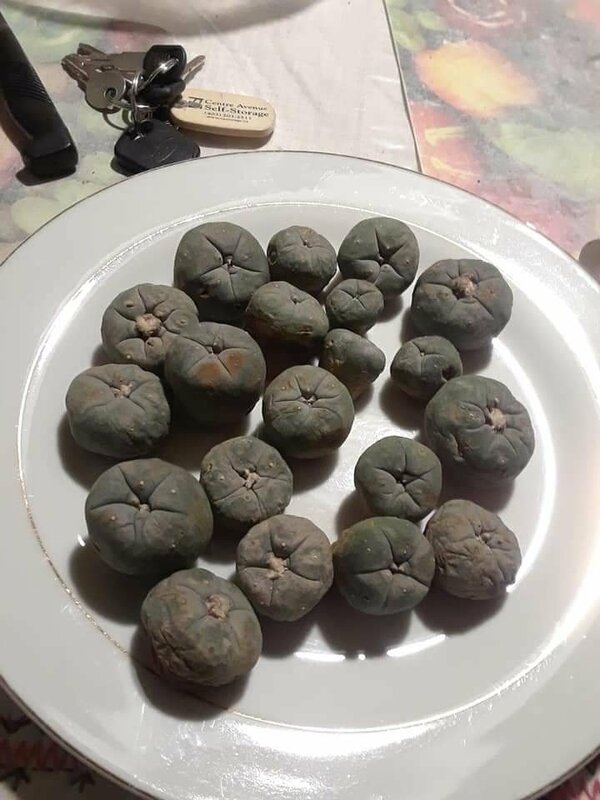 10G of dried peyote buttons is $180-$200 CDN. Seems pretty pricey. A little too rich for this Skunks blood. 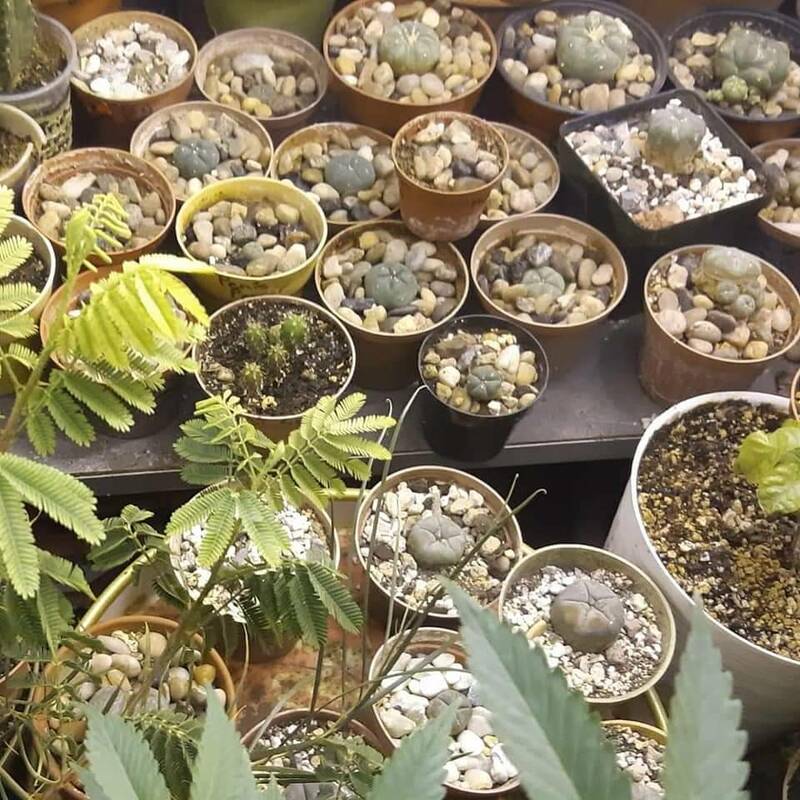 I'd rather buy seeds or plants and build up my collection to a point where I'd be self sufficient. I should have over 100 by this summer, so I'm well on my way. I sure wish I had the opportunity to experience those times. I was a 80s baby so i never got to experience things like that. No other info on this lovely cluster other than ita said to be approximately 15 years of age. Came from a grower in Spain. 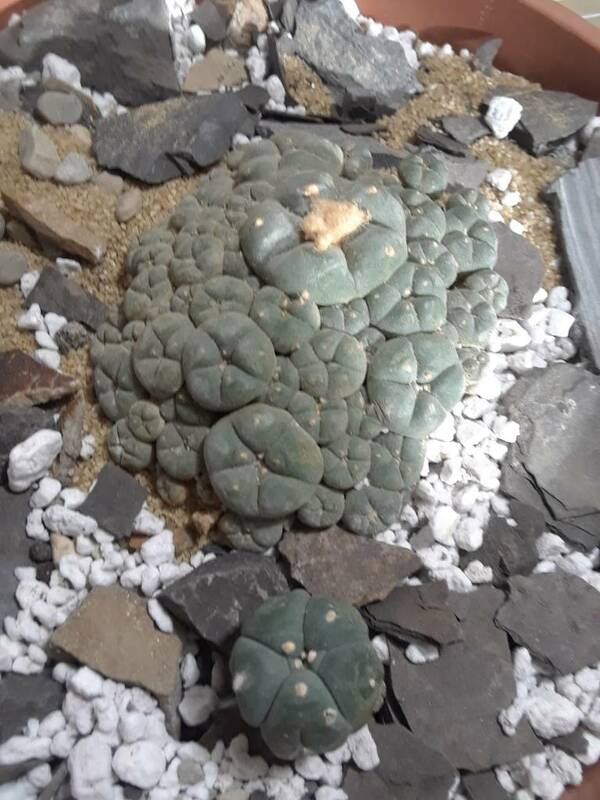 This one came into my care from a close friend. The original mother plant is being cared 4 by me for one of mt friends. I've taken a couple clusters off for my own persoanl collection. 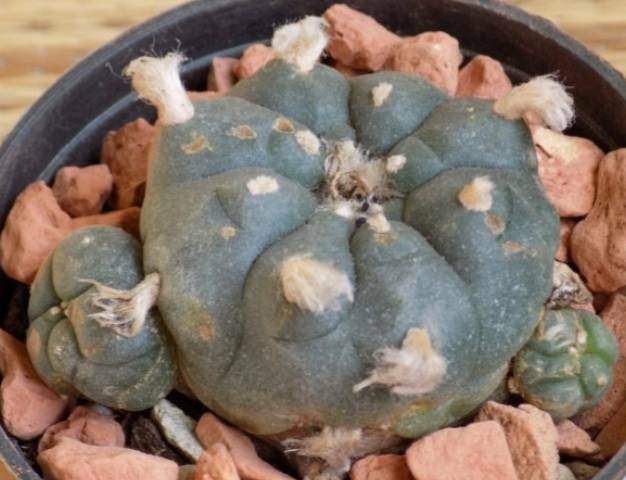 The main mother plant is an estimated 25 years old. Edited by skunk, 09 March 2019 - 11:54 AM. These are one of my top favorites. Got these seeds from a contact in Australia. Supposedly some killer genitics. Ive got about a Dozen of these in the collection. These are the two biggest ones. Looking forward to seeing what this summer brings for these. Edited by skunk, 09 March 2019 - 12:15 PM. Loving the blueish tinge to here. Looking forward to seeing what kind of horse power she packs under those spines. I have a wack load of these crosses both ways. And they all look super awesome. Should be a good show this coming summer. I so wish we had a "LOVE" button to push. Outstanding man took my breath away. You are a blessed individual to have so many of these amazing souls in your care. 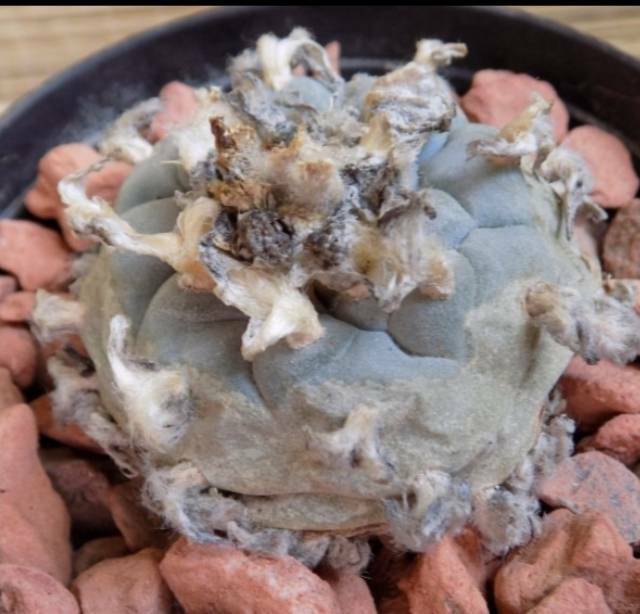 I have yet to acquire any Williamsii for myself. One of these days man one of these days. What an amazing collection! Edited by Coopdog, 09 March 2019 - 07:09 PM. Pulled the trigger on these ones the other day. Just waiting on the weather to warm to have them shipped. So hopefully the long range forcast cooperates so I can get these into the country. 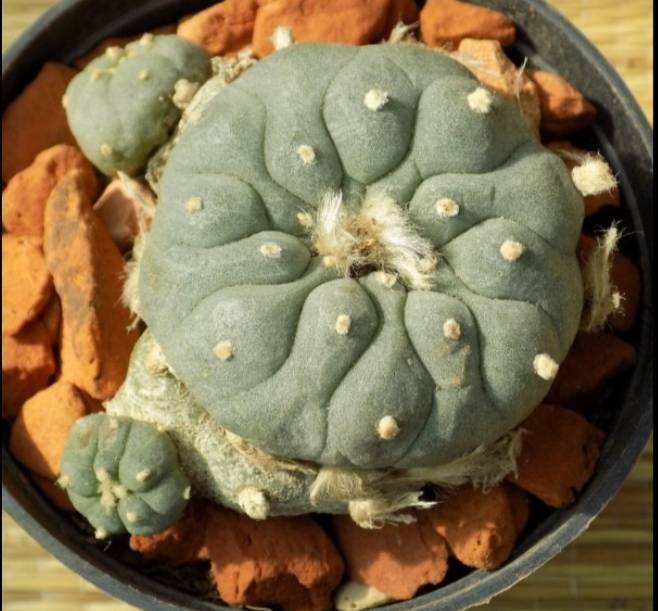 Ill have 60 Lophophora Williamsii and a dozen Lophophora plants in my collection. Then when the nexr lot of NAC ones touch down ill have well over 100. 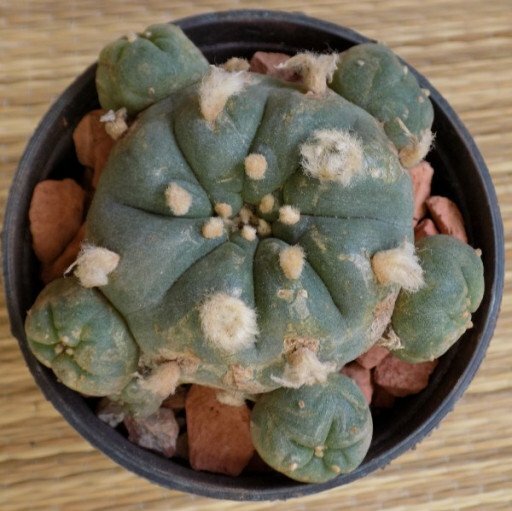 Got such a great deal on these 31 Lophophora Williamsii ranging in size from 4.5Cm-5.5 cm i had to pull the trigger on the all. Sure everyone told me Cacti weren't addictive.... said noone that collected them. Edited by skunk, 31 March 2019 - 10:26 AM.